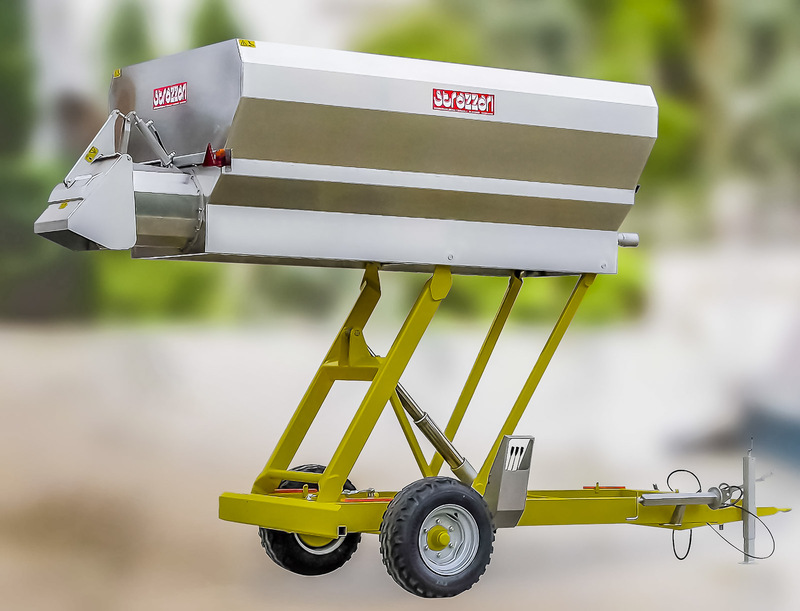 GRE - Liftable trailer for grapes, with auger and door for discharge. 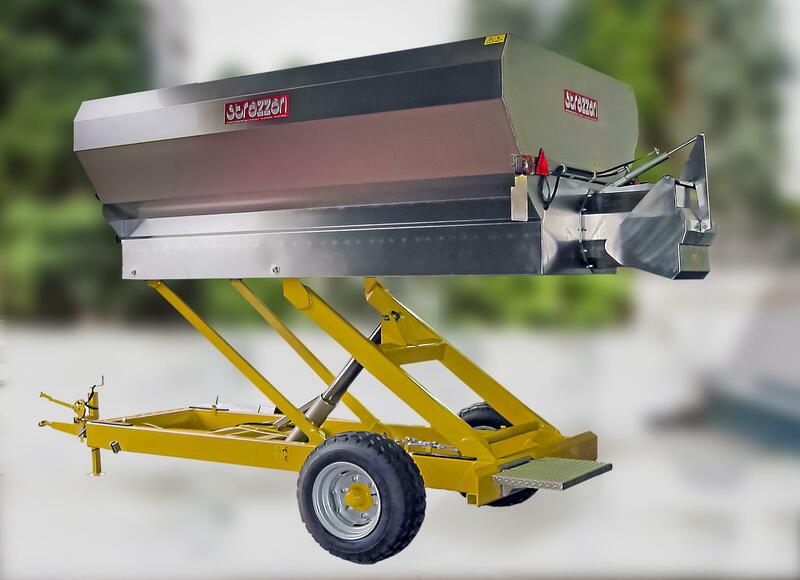 Equipped with a frame for lifting of the container, which allows discharge at 2.15 m of height. 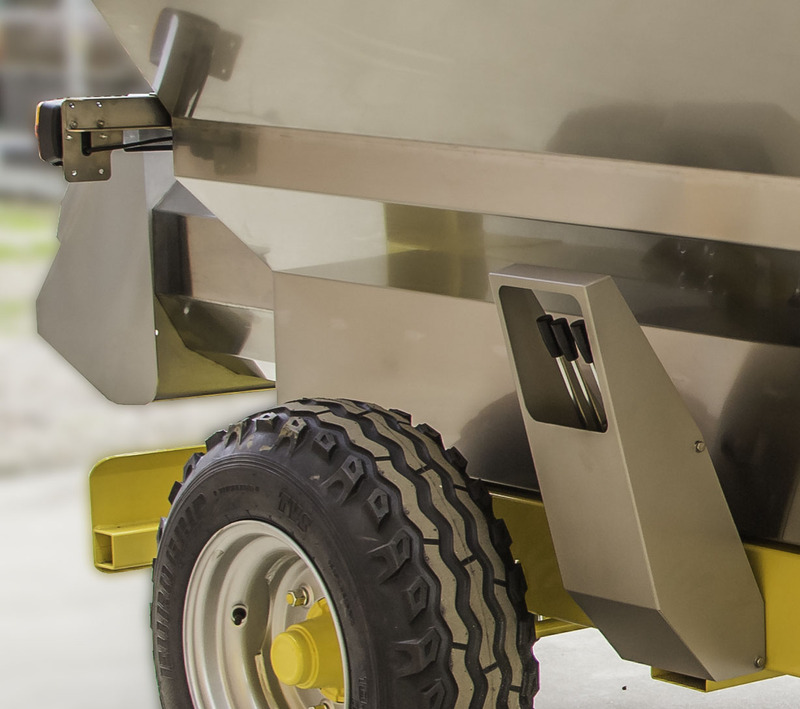 The rear movement of the container, during lifting, facilitates positioning of the discharge on the crusher avoiding inconvenient manoeuvres with the container raised. 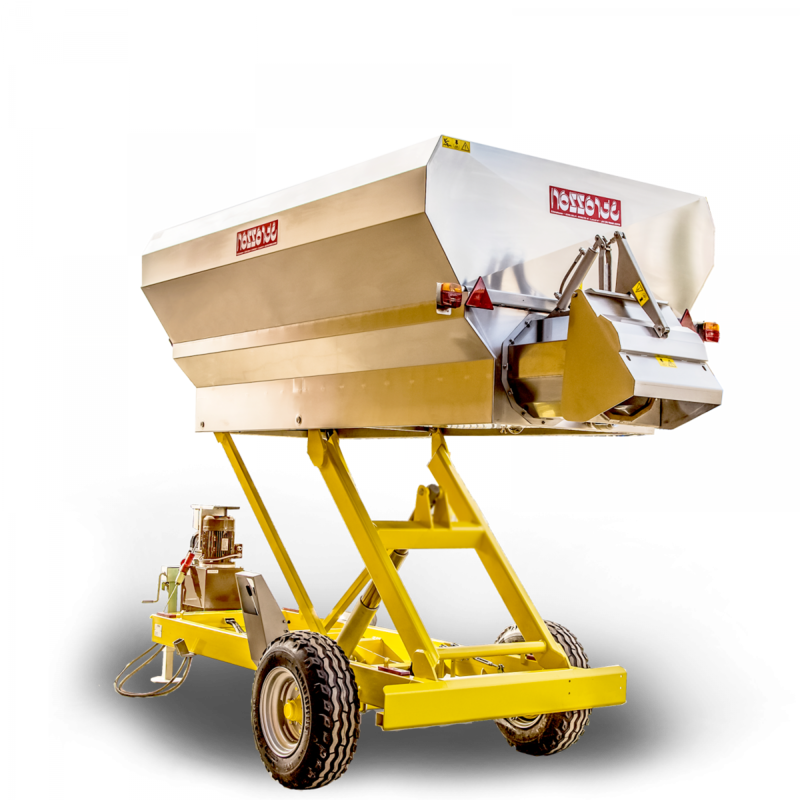 The particular construction of the container, with asymmetric walls, avoids the 'bridge' on the auger facilitating descent of the grapes. 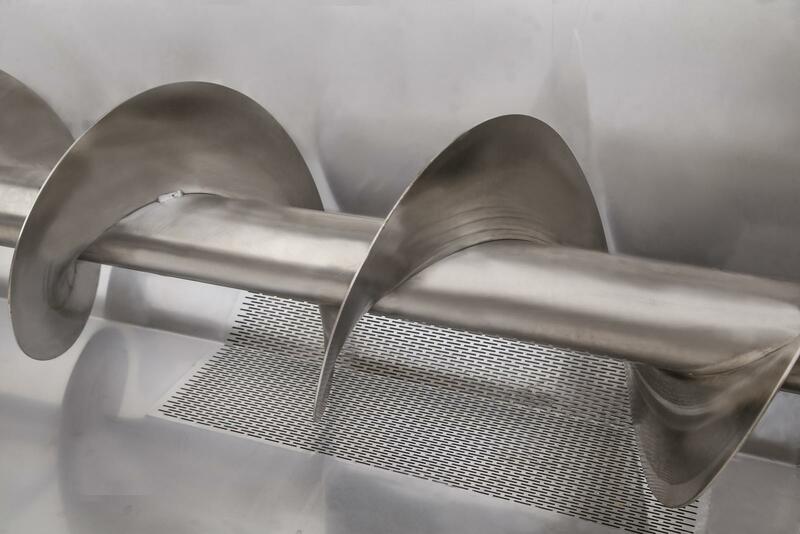 D.400 auger with wear-resistant nylon profile. 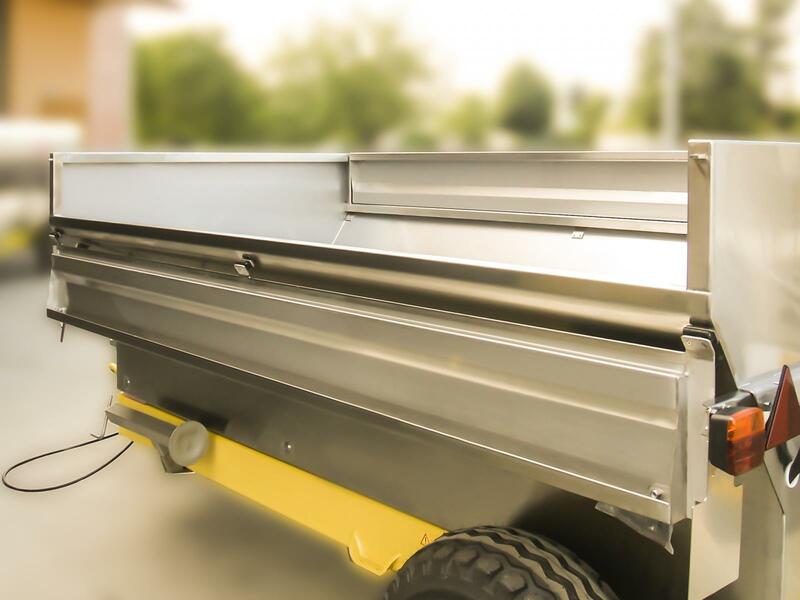 Airtight door with front and side protections to direct the product flow downwards, with hydraulically adjustable opening. 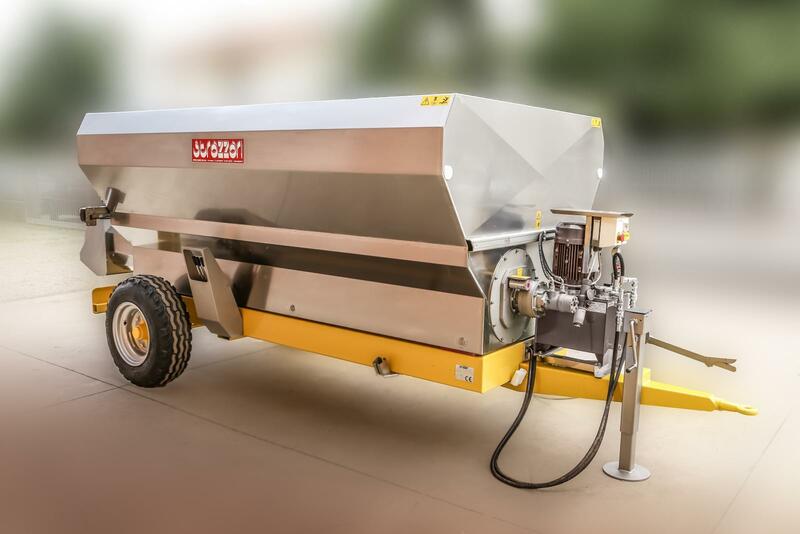 A hydraulic distributor is supplied with an auger adjustment valve, positioned on the trailer frame, which allows the operator to adjust lifting of the container, opening of the door and the speed of the auger, with maximum visibility and practicality. 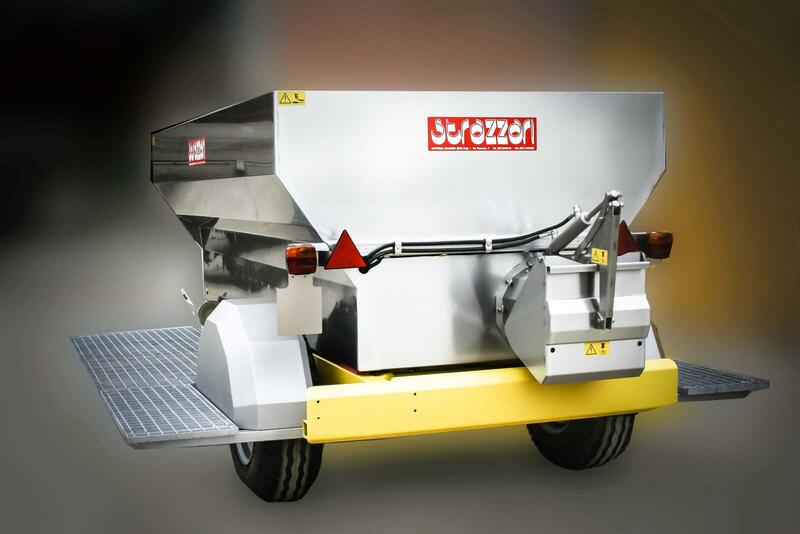 Built in two versions of 3 and 4.40 m3 approved for road circulation.